Packing for a ski holiday can turn out to be a herculean task. You definitely don’t want to leave important items at home. A snow trip means that you’ll be out on the slopes for most of the day so you need to be comfortable and anything less will likely see you racing towards the cabin to save yourself from cold. 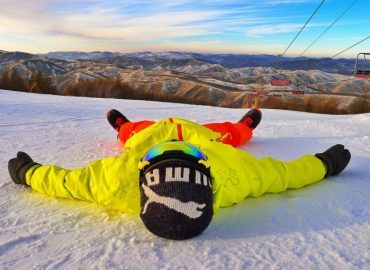 This is our list of top choices for those loing for an awesome ski vacation, with a few options from the southern hemisphere, so you can ski all year round! Enjoy and send us your best shots from the top of the hills! Cerro Catedral demonstrates exactly why Patagonia is often considered one of the most beautiful places in the world. Cerro Catedral does what many South American resorts do not, it constantly los to modernize itself. This resort offers fantastic skiing with spectacular views. Portillo is breathtakingly beautiful. Secluded in its own little world, away from any busy city or even town, this is a skier’s paradise because skiing is the focus of everything. You will have miles and miles of pristine trails, in gorgeous rocky mountains, free of any trees. Park City is a massive winter playground! This resort has fourteen bowls, eight terrain parks, six natural half pipes, one superpipe and one mini pipe. That’s a whole lot of skiing options! Park City is easy to get to, has great snow averages and is overall just a ton of fun! Alyeska, situated in the Turnagain Arm, in Alaska, boasts some of the best views of any ski resort in North America, as well as some of the best snow averages of any resort in the world. This is a massive resort and yet you will often find yourself off on your own while enjoying excellent skiing. Vail is world famous, and for good reason. You can spend the day hitting the slopes and enjoying world-class skiing and then enjoy renowned restaurants and bars all night long, in Vail Village. Telluride may not be the easiest Colorado resort to access, but taking the time to get there will be well worth your time. This resort is the Rocky Mountains at their very best! The skiing here is phenomenal, especially for experienced skiers and the views are some of the best you will find anywhere in the world. Revelste is a ton of fun! This is the only resort in the world that offers lift, cat, helicopter and backcountry skiing from one village base. This is the place to be for adventurers who don’t want to be bound by strict trail boundaries. 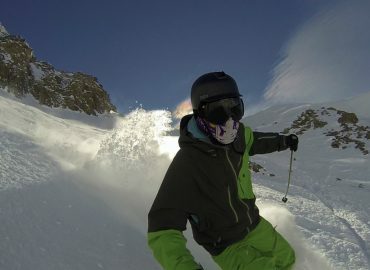 This resort is all about the backcountry! Zinal, now linked with nearby Grimentz, is the perfect Swiss escape. Tucked deep away in the Swiss Alps, this resort is charming and warm and all the best of Switzerland. With top-notch skiing and a fairytale village and the ones around it really can’t be beaten.